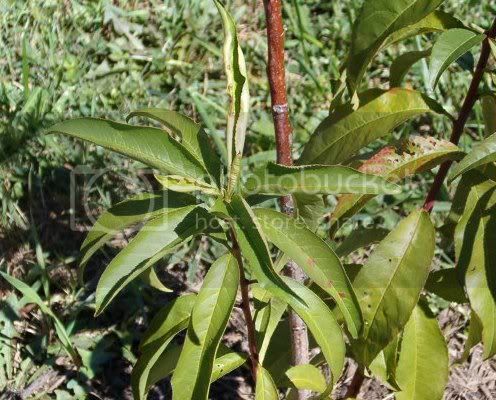 I have a peach tree that I got from ADF early this spring. It's doing amazingly well, or it was. I took a few new pics to see if anyone can tell me what is going on here? 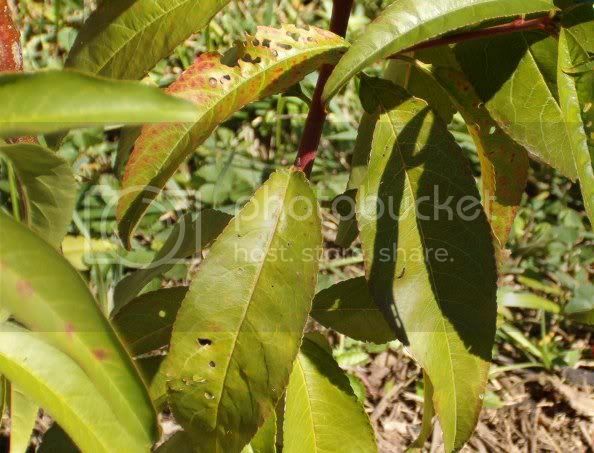 Meg...I am not saying this is your problem because I haven't a clue but be on the lookout for peach leaf curl. The leaves will start turning bright colors and the leaves curl up then they drop off ...it does spread....there is a spray for it but it has to be used twice a year and at certain times. Google peachleaf curl and see if it could be beginning stages. Also looks like you have some critter munchin a bit. Please see also link below in addition to the Peach Curl info posted by Catlover. I don't suspect this tree will be growing any fruit for a few years yet. It's just a little thing yet. But, I don't want it to die either. It sure looks like Peach Leaf Curl to me. It is caused by the fungus Taphrina deformans and is usually occurs when spring is warm and wet. It has been in the US for over 100 years. Management is to use dormant spray (either sulfur or copper) prior to bud break (generally 3 applications). Infected leaves should not be composted as the fungi will overwinter. 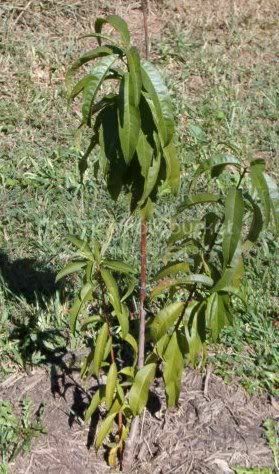 I would NOT reccomend fertilizing as this will just make the tree flush new growth that it will not be able to defend. The current thinking in arboriculture is that trees should not be fertilized unless a specific need is shown to exist (in ag applications the desire for more fruit production may be a reason to fertilize). Good luck.